In the U.S., most “responsible” cyclists wear helmets, yet when I cycle in Europe or Japan, I see many cyclotourists who ride without helmets. The Europeans or Japanese don’t seem like dare-devils or poorly informed. What is going on here? I’ve thought about this a lot, and I’ve concluded that helmets don’t matter all that much, compared to other factors that that influence the safety of cycling. Please note that I am not anti-helmet. When I was in college in Germany during the late 1980s, I was one of two cyclists in town who wore a helmet. I’ve worn a helmet on most rides since then. Even so, I have revised my views on this topic – while continuing to wear a helmet. This analysis assumes that riders who wear helmets and those who don’t wear helmets otherwise behave identically. They don’t. Consider that 25% of cycling fatalities occur between 9 p.m. and 6 a.m. Most people who are getting killed aren’t randonneurs on night-time rides. They are people who lost their driver’s license because of drunk driving. (31% of cycling fatalities have blood alcohol levels of 0.08 or higher.) These fatalities were on their way home from the bar. Most of them don’t wear helmets, but they also are riding a bicycle while intoxicated, without lights, usually on busy highways, just after the bars close. The lack of helmets is their smallest problem. So these statistics are misleading. The good news for us is that the statistics also overestimate the dangers of cycling. If you do not ride drunk, without lights, after midnight, on busy highways, then you already have reduced your accident risk significantly. A better way is to compare statistics from one country to the next. And there, we find little evidence that the countries where people wear helmets (like Sweden) see fewer cycling head injuries than those where people don’t wear helmets (like Denmark). Conclusion: Helmet use doesn’t seem to have a great impact on cyclist fatality rates. 2. Helmets make cycling appear more dangerous than it is. In reality, cycling becomes safer if more people ride. Cycling in Copenhagen is relatively safe not because the cyclists there are more skilled. Nor do the cyclepaths reduce the risk of accidents (they don’t). Cycling in Copenhagen is safe because everybody is used to looking for cyclists. Furthermore, if everybody cycles, drivers no longer harbor resentments against cyclists for their presumed political views and social preferences. In the U.S., much of the animosity against cyclists stems from what people perceive cyclists to stand for – city dwellers, liberals, granola-crunchers – rather than from the minor inconvenience they may cause. Conclusion: Emphasizing helmets discourages people from cycling, which makes cycling less safe. 3. Helmets provide a false sense of security, therefore people feel they can take more risks. The initial argument for risk compensation was based on the fact that more cyclists die in countries where riders wear helmets (U.S., UK) than in countries where cyclists ride bare-headed (Europe). The conclusion was that helmets somehow make cycling less safe, and the best hypothesis seemed to be that riders who wear helmets feel invulnerable and take greater risks (risk compensation). The data do not support this analysis. In the U.S., most riders who die don’t wear helmets (see 1), so the higher death rate in the U.S. cannot be explained by risk compensation of helmet-wearers. In fact, helmets take the “carefree” out of cycling and make people more aware of the risks (see 2.). There is a concern about helmets, though: If we tell new cyclists that a helmet is all they need to guarantee their safety, we are putting them in harm’s way. Real safety comes from accident avoidance through looking ahead, anticipating others’ behavior, and judging the road conditions correctly. We see the same in cars, where we North Americans focus on buying big cars with the best safety ratings, but not on learning to drive well. And our traffic fatalities are among the highest in the industrialized world, much higher than in countries where people drive small (and relatively unsafe) cars with greater skill. Conclusion: As a society, a focus on helmets detracts from teaching about real safety. On a societal level, insisting on helmets is detrimental. It detracts from the facts that a) cycling is relatively safe, and b) that safety lies in preventing accidents more than in trying to survive them. Wear a helmet if you are an “optimizer” – the type who worries about the last 5% in performance or safety. (I do wear a helmet!) But don’t tell anybody else to wear one, or not to wear one! Instead, let’s focus on teaching cycling and traffic skills. Will this analysis end the “helmet wars”? I am not holding my breath… and with that, I am opening up the comments, and ducking for cover. The more i have used my bicycle as a means of everyday transport, rather than a means of having fun at the weekend, the more i agree with your conclusions. cycle helmets are relatively ineffectual when it comes to being hit by a motor vehicle. They do provide a small amount of protection, but don’t rely on it! Road skills, good judgement with regard to other road users and an inherent mistrust of every other road user will save more lives than cycle helmets for sure. As you say, ride well. As a long time cyclist who always wears a helmet, I’ve come to the same conclusions as you state in your post. But it’s only been in the last two years. Perspnally, I won’t stop wearing a helmet because I’ve survived crashes, due to my own stupidity, and sustained only a headache. However, I will refrain from insisting that other people are unsafe because they choose not to wear a helmet. I rather see more cyclists on the road. No 4. If you’ll die wearing a helmet, insurance company lawers won’t use it as a reason to lower the compensation. If this is the case, then it is highly discriminatory, because nobody argues compensation should be reduced for helmetless drivers, helmetless pedestrians, helmetless shower takers, even though the advantages of wearing a helmet in these activities is comparable. Then what of other safety devices, like mirrors, handlebar bells, body armor, or motorcycle headgear (which actually might help)? I would like to see evidence that compensation is quantitatively reduced for the lack of a helmet when cycling. A much recycled and repeated debate. This article is a usefully dispassionate take on it. Personally I wear a helmet when perceive the risk of injury to be higher. This is either because I’m riding on road where pedestrians and people driving cars will do unpredictable things that I may not be able to avoid, and mountain biking when I’m out to ride fast and jump things. I often don’t wear a helmet off road (sometimes on the same trails) if I’m riding with different intent and more slowly. Apparently, some people read this chart as “you don’t want to die – always wear a helmet”. Now, they are really missing the point. Regarding you final conclusion #1 – you state that on individual level it is a good idea to wear a helmet but you forgot to ask yourself “when”. While I 100% agree that it is good to wear a helmet during any sport cycling acitivity, when risk of falling is higher, I do not think that riding on a greenway, 12mph, away from any car traffic, justifies helmet use. This comes down to the real point of helmet wars – yes, helmets may reduce sustained head injuries but no, they will not reduce your chances of having an accident. And this is something many people tend to forget, such us those politicans in Australia or the old lady on the bike path asking me where my helmet was. And I thought that the most dangerous place to ride in the city would be a multilane street where you are constantly being passed (much too close) by huge trucks. Comparing to that, riding on a greenway is like a walk in the park. Unless people ride differently on the west coast. The greatest danger of being hit by motor vehicles is at intersections, not being hit from behind. A multi-lane street actually is relatively safe (assuming traffic speeds are reasonably low), since there is room for cars to pass without having to go into the oncoming lanes. Lane positioning is crucial. If the lane is too narrow to share, you should take the lane. If traffic speeds are too high, you should take an alternate route. But skills like these get lost in the helmet debate, where we tell people “Be safe! Wear a helmet!” and leave it at that. Greenways – if you mean streets that are dedicated to cyclists – really are the best option for cycling. If you mean “multi-use trails” that mix pedestrians, cyclists and dogs on a 12-foot-wide strip of pavement with no markings, then that is probably the most dangerous place to cycle on a busy weekend, and best avoided. Unfortunately I have to disagree with you re the mountain passes, even if my recent accident going downhill fast constitutes again only anecdotal evidence. Your arguments above are the same as the conclusions I’ve come to in recent years. I don’t use a helmet commuting (I now use the road exclusively for commuting, bike paths are to dangerous) and I find the (often very strong and moralising) insistence to wear helmets while doing so very counterproductive if one aims to raise cycling levels. A while ago, I stopped using a helmet for sport too, afraid of the possibility of rotational injuries. However, last week I fell cornering on a mountain descent and hit my head on the tarmac. I was unconscious for maybe 15 minutes and was taken to hospital. There don’t seem to be any damages to my brain, and only minor injuries to my head, mainly in areas where a helmet wouldn’t have protected me anyway. (I’m however quite handicapped for the time being by the other injuries I sustained) So I now ask myself questions about this accident, how and why it happened in the first place, quite worrying this as I have no memories of it, and of course, if it was wise not to wear a helmet. “Accidents don’t happen when you scream down a mountain pass – you are 100% alert – but when you are in situations where you or others perceive the dangers to be low.” Oh, but they do. Just a few of the accidents seen at Bike Virginia: riders lose control and are unable to make sharp turn, run wide and go off the road, crash into guard rail or crash into oncoming cars; tire blows and bike crashes; deer crosses the road, runs into rider, and bike following piles into deer and rider; riders come around sharp turn and run into pothole located directly in the perfect line through the S bend. And these are all accidents where the riders survived. There’s a reason why as soon as I begin one of those descents my mental juke box starts playing “The Wreck of Old 97” and it’s not just because the engineer’s name was Steve. I guess I overestimate the skill levels of riders. Among the riders I know, accidents tend to happen when we let our guard down, because we don’t perceive any dangers. As usual I think your post is excellent and spot on. In my personal experience: helmets are a good idea for fast aggressive riding. Even the best riders, such as elite class cyclocrossers, are prone to crashing when you are testing the limits of traction. I have cracked two helmets myself. On the other hand, I wish I could ride with my daughter to school without being harassed about wearing a helmet. But harassed you will be…. Well argued and summarized view on the helmet debate, and consistent with my own thoughts. Personally, I wear a helmet (it hasn’t helped me yet), and my family all wear helmets (a helmet did help my daughter once), but it’s our own informed decision, not a mandate, and that’s the big distinction. Very, very good point. I fully agree, but only have oneto add: whether wearing a helmet or not, whether optimizing your cycling skills, whether actively contributing to the amount of cyclists that make cycling safer: never, never forget that your statistic risk out on the road does not tell anything about your individual case. You can do anything “right” yet suffer a bad accident, bu if you don’t it doesn’t mean that anything happening to you is your fault. Please quote a source(s) for this statement. Regarding drunk cycling: 31% of cycling fatalities had blood alcohol contents of 0.08 or higher. Time of day: 25% of cycling fatalities occur between 9 p.m. and 6 a.m. So I mis-spoke when I said “most”. I changed the post to correct that. of the traffic crashes that resulted in pedalcyclist fatalities in 2012″ – NHTSA 2012 data. Almost half of all deaths (49.4 percent) occur between noon and 6 p.m. The next most dangerous time to ride, based on a FARS report, is between 6 p.m. and 9 p.m. with 107 cyclists (15 percent) killed. Nonetheless, 25 percent (184) of all deaths are recorded between 9 p.m. and 6 a.m.” Nov. 20, 2013, Bicycle Retailers and Industrial News. I have avoided some organized rides because they require a helmet. But if I decide to ride with the organization, I will don one. On my own though, a helmet is a rarity. While it’s true that this is an individual choice, any discussion about helmets preventing fatalities is missing the point. The idea is to prevent or minimize head injuries, the effects of which can be costly to the rider, and the population in general as an extended hospital stay will make health care, along with the usual suspects, more costly for all. Those who ride without helmets, as a “freedom of choice” will still expect top-tier medical care if they sustain a head injury. All freedom but no responsibility. How are these injuries any different from those sustained by someone who has driven after drinking, or without wearing a seatbelt. Again, you’re free to do whatever you want, but when your choice pees in the river upstream from where everybody else is drinking, that’s a problem. I have seen several new cyclists in my neighborhood get into accidents (fortunately not serious). They all were wearing helmets, but their cycling and traffic skills were so-so at best. When we tell them that all they need to be safe is a helmet, we do them a disservice. Much tougher driver training and exams would hugely reduce crashes. It would likely be the single most effective safety measure that we could enact. It would involve no extra expense per se. How much traction would such a notion get in the US? I note that in casual urban “bike party” groups that about half the riders self-select to wear helmets. They seem like the riders who are most likely to crash and get hurt. So their choice seems sensible. Lots of variables, but that’s one. So many social factors are at play beyond science or simple-seeming logic. Power, symbol, coercion, liberation, fashion. People occasionally comment on my plain, ordinary bike-handling. (Knock on wood.) Compliments are a nice part of coaching, as are corrections, but to me it goes without saying: it’s life’n’death. Experience has taught me my own code for the right attitude: *refuse to crash. * Sure, there are inevitables, but attitude and basic skill covers 90% of the rest. As regards attitude: Colliding doesn’t mean crashing. Crashing doesn’t mean injury. Injury doesn’t mean regret. It’s simple journeyman stuff that I’d think most folks around the world use doing whatever. I use the strength of the materials at hand to stay upright. Relaxed skill is simply the needful thing. There’s even margin for error. It’s not a fussy “Type A” thing. A skilled riding group is wonderful. A little slop is fine, too. But an unskilled group doesn’t change the outcome for me (tho I do what I can, and ask if they want help, tactfully). If someone crashes they’re unlikely to hurt me. I won’t shun them and I’m even willing to sacrifice equipment. But I’m unlikely to be near them when they crash. Much more strict driving exams and rules are required in Canada and USA. Still too many teenage boys with access to vehicles and very scary results. As for bicycle skills, those are important too. I have years of cycling experience. I have also been in a major car accident(was passenger of vehicle that got hit head on), I sustained many injuries, was out of service and stuck on a never ending wheel of physio for a few years, and endure pain to this day. I still feel much more safe travelling by bicycle than by car. Knowing what happens when you break bones etc, I have no intention of falling off my bicycle or having an accident unnecessarily. I can do little to control others, but I can control myself, so I am an overly cautious cyclist, I crawl down hills, I will pull over and ride the shoulder to avoid a busy road and there is no alternative route and I do not care what anybody thinks. Plainly the question to ask here is, formulating it provocatively, «Don’t helmets cost the society more than the injuries they pretend to prevent?». That question still hasn’t been answered clearly, and it absolutely needs to be, BEFORE you’re making wearing a helmet a legal or moral obligation. To keep health care costs low, why not try increasing the cycling modal share ? Cycling, as other physical activities, greatly reduce obesity, heart diseases, etc. And we will certainly never significantly increase the number of cyclists by promoting the helmet (or worse, making it mandatory), which as Jan wrote sends the wrong message to the public. Cycling is not more dangerous than using stairs (it probably is much safer, considering the number of deaths from falling in stairs), yet it is perceived as a very dangerous activity, and this fallacious perception is made worse by heavily promoting a safety equipment. Conclusion, as far as global health care costs are concerned, promoting the helmet is a much worse idea than promoting cycling. Excellent topic, and as you’ve already noted one that will likely fan a few flames. I’ve a hunch that the flap about helmets lies partially in a litigious culture, ready and willing to file a hefty lawsuit over hot coffee and blow dryers getting used while bathing, and partially in a prevailing alarmist state that we seem to exist in. I think there are well meaning folks with legitimately valid points about protecting one’s nut, but this tends to come at the price of common sense preparation and schooling oneself in how to actually ride a bike while out in the world at large. I use a helmet most of the time myself, not out of fear but because I figure, “What the heck? Can’t do any harm.” But I’ve been known to head off into the wilds wearing nothing but a cloth cycling cap on occasion. I’m wary and aware when I do so, but not crippling myself in fear. Thanks for addressing an apparently incendiary issue in a reasonable manner. Now I will sit back and wait for the opinion pendulum to dramatically swing to both extremes! Thank you and others for asking about this statistic or pointing out the error. I corrected the numbers. Even so, it is sobering (pun intended) to see that 31% of cyclist fatalities happened at night, and 31% of cyclists who died had a blood alcohol level of 0.08 or highter. The night represents about 31% of each day, so it’s neither over- or under-represented. Figures can lie, and liars can figure, as they say! You have to look at the number of people cycling. If there were as many people riding at night as there are during daytime, then you’d be correct. Thanks! I don’t think it invalidates your argument. It seems clear that cycling injuries and fatalities are mostly caused by drivers doing unsafe things, like drinking or texting, but also by cyclists doing unsafe things. Like drinking or texting. One argument I often hear from pro-helmet-law people is that we mandate seatbelts in cars (except in New Hampshire) and helmets on motorcycles (except in a bunch of places). There’s an intuitive counter-argument to this which is that cars and motorcycles are vastly more dangerous due to speed and inertia, but do you have any statistics on this? Yet ironically there is no helmet law in the UK. As a child I never wore a helmet prior to riding motorcycles at driving age. I always wore a helmet for many years mostly due to locale and my own inclination for performance oriented riding. Now that I’ve been bike commuting for around a quarter of a century I enjoy not wearing a helmet at times, especially in low traffic areas like when it’s so hot there’s little to no traffic on the bike path. Often I feel safer riding roads or residential areas than busy bike paths with everything from pace lines to cute unsupervised 3 year olds. I tend to ride faster when wearing a helmet and have observed a false sense of security in myself and others. Can’t we just get along. Being respectful of others and riding appropriate to one’s surroundings goes a lot more towards bike safety than any form of attire. Children should learn to bike, swim and learn to commute safely, alone or in groups, and roads should be safe for all forms of transportation. I was once given a shirt that reads Riding is Life; it’s true. There are a couple of things here that I find interesting and would love to be able to share with others. Just wondering where this data was compiled and by whom. I added the sources in the post, and also corrected my statement. It’s 25% of fatalities, not most. I agree with all of your points, but one thing you fail to mention that (I think) deserves mention is the risk compensation behavior of motorists in the vicinity of cyclists. There was an interesting study done in England, which purports to show that motorists passed with more space if a rider was not wearing a helmet. Purely subjectively, I feel I have experienced the same motorist behavior. Helmets don’t make cycling safer, they make crashing safer. Yes, I’ve read the study and it was the case that car drivers passed closer when the cyclist was wearing a helmet. The academic who did the study also found that drivers left the most room when the cyclist was wearing a long blonde wig! Ultimately it seems to be the case that drivers left the most room when they perceived the cyclist was less experienced and hence more unpredictable. I would only swerve intentionally if I had a death wish. Please, please, please, people, do not try that tactic! You swerve while the car still is far behind, not when they are just passing you. It’s more of a little wobble, just to show the driver that they cannot pass you with inches to spare and count on you holding your line. I’m aware of this tactic and use it quite frequently. I would say a key part of being able to do this safely is that I almost always ride with a rear-view mirror. I find that the Grant Wobble works great! Yes, give it lots of prep space. If I have enough space, on wide open rural road, when I see a “squeeze play” coming up (where I’ll be passed from both directions at same time) I’ll do a big pre-bobble and then take the lane and force the passer to hit the brakes. Around here rural passers still like to force oncoming traffic onto the gravel shoulder as they do the “three up” death-moron pass. But bikers are GRADUALLY becoming seen as human! Jan is right in passing along the idea that this is actually, before all else, a CIVIL RIGHTS issue. The crux is that we’ve been seen as Other. It’s starting to change. The public has now become far more willing to give me the THREE SECONDS to spare my life than it was willing to do 20 years ago. Amazing improvement! When I bicycle with my kids to school, drivers give us much more space and courtesy than when I’m cycling alone or with adult cyslists. And when I used to ride one child on my Bike Friday tandem, I was treated with curious interest, smiles, and lots of room! I also noticed this with a regular bike with a rear child seat installed. The perception may not be that the risk is greater of getting into an accident with someone cycling with a small child, but the stakes are higher of getting into an accident, as the act of causing harm to a child is considered far greater than to an adult. It still falls under the umbrella of risk compensation, but instead of compensating based on risk probability, it may be also severity of the consequence. I’m also an advocate of the wobble, as is Graeme Obree, it gives drivers the impression that you take up a certain amount of space, it also helps not not hug the shoulder, this seems to promote the squeeze. I live and commute in Brazil, we have fairly narrow roads so it is important to claim your space, with or without wobble as conditions necessitate. I would also strongly advocate the rear view mirror, we may not see helmets as necessary for motorists but we would be up in arms if rear view mirrors also became optional. Perhaps the debate should be more focused on using what the helmet is meant to protect more that what protects it..
Jan I respectfully disagree, the rear view mirror is an essential tool for navigating the busy streets, it allows you to peak back to see what’s coming while still looking forward. Furthermore, the over the shoulder or the underarm peak never quite give the same view or notion of the happenings behind as the mirror. In fact, I would contend that if you consider the blockage to the cyclist’s view from both the shoulder and or arm and or helmet if you wear one, the peak back has many many more blind spots than the mirror, not to mention that you will be blind to all that is in front of you, momentarily or not. In addition, the look behind sometimes causes you to swerve slightly or run over unseen bumps or small obstructions, that may put the rider in a dangerous position, particularly if an unseen object crosses your path at the look behind moment. Lastly, it is difficult to do the look behind for any significant period of time when descending quickly in traffic. So, I believe that you are incorrect on all assertions. Great post, as usual. I never wear a helmet when cycling in town (Amsterdam, NL), but always wear one when on my racing bike (its saved my head four times in recent years). When touring I bring a helmet and wear it about a third of the time, especially when it is raining or when I encounter heavy traffic. I agree it is a personal and situational decision. Good post. I think one problem with an expectation that cyclists should wear helmets is a “blame the victim” mentality that it produces. In the UK, you can see newspaper articles about some poor cyclist who has been crushed by a heavy vehicle and stating “the victim was not wearing a helmet”… as if that would be protection from being run over by a truck. But it still conveys the impression of irresponsibility even if the victim was blameless. In countries where helmets have been made compulsory – like Australia – cycling rates drop immediately and this can make the roads more dangerous for other cyclists because it reduces the “safety in numbers” from having more cyclists on the roads. The problem I find is people will always come up with anecdotes about someone they knew who would have been injured if they hadn’t been wearing a helmet. I have a relation who may not have been as seriously injured when driving if she had been wearing a helmet but I don’t see calls for drivers to wear helmets, flame retardant clothes and fit 5 point harnesses to cars, even though statistically I am sure this would save lives. Ultimately I believe it should be a personal decision rather than a law or even pressure from society. Personally I will usually wear a helmet when going on a longer recreational ride but don’t wear a helmet when I pop down the shops on my bike wearing my everyday clothes. Those I know who push a helmet law tend to be technocrats and interestingly all rely on anecdote in our interaction. I understand their personal revelation. But these are bloodless types who don’t use anecdote elsewhere in decision-making that I can tell. Liability is another card they play. Is there any sense in resisting the liability concept? I’d think it’s appropriate some places but not others. Any good way to tell? Is the answer really that “everyone is my enemy / unless I’m insured”? I’m not a lawyer so stand to be corrected, but in a number of European countries such as the Netherlands have a system of presumed liability, so the less vulnerable road user is presumed to be liable for an accident involving a more vulnerable road user unless they can demonstrate otherwise. So if a cyclist was going the wrong way down a one way street, bottle of drink in one hand, mobile phone in another, and was hit by a car, the car driver would still need to prove why they could not have avoided the collision otherwise they would be liable for damages. In common law countries, liability tends to be based on balance of probabilities, one way or the other. Normalization is fascinating. To me that’s the “more bikes on the road” aspect. It seems like bike helmets have entered an interesting new phase that’s still tied to normalization. But the old Wars are over. They’ve aged out. Their traits were instructive. The big new generation of “bike parties” seems to run about half helmets and nagging is simply ignored. Helmet-centric orgs never did catch on in terms of social biking and are fading. Game over. Yet there are other dynamics. The “normalization” is so important. It used to be when we rode in the areas surrounding Seattle, we were perceived as “other” and threatening. 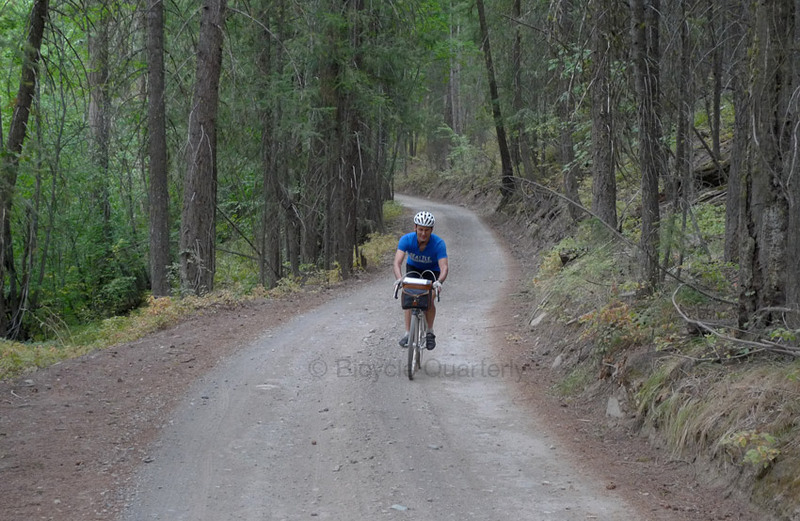 On every other ride, we had a hostile encounter. Today, where everybody seems to know somebody who cycles, we are just normal people, riding bikes. And traffic behavior has improved tremendously. As somebody once wrote, aggression toward cyclists really is a civil rights issue that has little to do with what the cyclists do or don’t do. When I raced in the 80’s, it was very common to train without wearing helmets, and I was no exception. That all changed when one of my team mates riding behind me got a flat tire at around 20 mph on a very causual ride. His tire popped and rolled off the rim, he then fell over onto the rider next to him, and that rider toppled over at what looked like a harmless slide. But that was far from the case, he went down so fast he didn’t have time to get his hand down to brace his fall and hit the side of his head on the pavement. Now this guy was a USCF CAT II and was as skilled a rider as I’ve known, and laid in a coma for three weeks from a simple crash which cracked his skull and caused his brain to swell. He did survive, but never was the same person. Now, I know that there are people out there that say that there’s no proof that a helmet would have helped, but after seeing his scalp torn off and the blood on the pavement where he landed, it change me forever. So, I wear a helmet for the unknown elements that can occur, not because of my skills, which are excellent if I do say so myself, and not because vehicles, which do make me a little nervous at times, it’s because I don’t want anyone to go through seeing what I saw that day, if it was to happen to me. I totally agree that wearing a helmet can prevent injuries. I’ve had my share of helmets that I’ve destroyed. Racing especially is a relatively dangerous activity, and riding in pacelines with inexperienced riders is even worse. However, your example also shows why focusing on helmets alone can be detrimental. If your rider had a) glued his tire onto the rim well enough that it didn’t come off when it flatted or b) ridden wider tires that don’t deflate so suddenly, the accident would have been prevented. So when we talk about helmets only, and neglect teaching riders how to ride safely, we are focusing on the wrong thing. Yes, there are some accidents that are hard to prevent, and a helmet can be helpful in those. But many, if not most, accidents can be prevented with cycling and traffic skills. Wow. No one should wear a helmet because he didn’t properly glue a tire, so it was his own fault and oh well, sometimes human vegetables will be created? That’s pretty disrespectful, I’m sorry to say….. This is all pretty much the same as the motorcycle helmet argument. I’m fine with those idiots not wearing a helmet. All they have to do is sign a waiver that says they opt-out of the healthcare system in the event of any ‘accident.’ I don’t want to subsidize their $2.9 Million worth of rehabilitation, then pay for their Welfare and Food Stamps for the rest of their lives, because they can no longer work, all due to their own stupidity. However, if we look at the numbers, we can see that our emphasis on helmets has been misguided. From a purely pragmatic point of view, insisting on helmets above everything else is creating more, not fewer “human vegetables”. Shouldn’t we try and change that, by teaching people how to ride safely, and then saying “By the way, if all else fails, a helmet can provide some protection”? Jan, I don’t think that anyone is saying focus on helmets alone. But bottom line, the unexpected occassionaly happens and a helmet can save you from serious injury or death. In the example quoted, it was not the riders own actions that caused the accident but those of somebody else. I’ve not seen any argument here that tells me I shouldn’t wear a helmet. I’ve had a similar incident myself where another rider’s poor skills took me off my bike. I ended up in hospital with broken bones etc but a cracked helmet saved my head from any significant damage. Focus on educating riders and drivers, but wear a helmet at the same time. I don’t think that anyone is saying focus on helmets alone. Unfortunately, that is what is happening. It’s simple to say: “Be safe! Wear a helmet!” and then send them out on the road. Should we also wear helmets when driving cars? A very high proportion of serious auto accident injuries are head injuries and these numbers dwarf the number of cycling injuries. Please, let’s keep this civil. Speaking of wearing a helmet while driving a car, I have considered this. I don’t drive enough to justify the expense, but it would make sense, especially since my 22-year-old car doesn’t have airbags. On-track? Hell yes. It’s typically required in amateur driving schools and other events. Professionals are also now required to have an approved HANS device too (head and neck support). A proper HANS would very likely have saved Dale Earnhardt. A car has many, many ways of protecting you in a bad accident. It’s actually rather amazing how much can now be survived in a recent-model passenger car crash. US-market cars weigh about two tons, these days, plus or minus. A bicycle has none of that, and you will lose every single time in any car vs. bicycle ‘event.’ Simple physics. As a society, we like to buy things: Speed, safety… Buy aero wheels, a helmet, a new car with more airbags… In the end, performance and safety both start with yourself, and the things you buy only can help on the margins. I’m guessing that once you wear a seatbelt, the proportion of head injuries decreases significantly. in the 2 car accidents I have been in(both cases the ‘victim’ vehicle), we sustained head and neck injuries. I got retinal detachment which was only discovered before it was too late a few years later. I hit my head, and have suffered somewhat ever since. But have no recollection of hitting my head, other than a cut on my forehead from the windshield glass. And that was with seatbelts. So, from experience, the implications of a car accident are much greater than any bicycle falls I had as a child. The potential injuries are far worse, and yet cyclists are forced to wear foam hats(which I do). Huh? Our fatality rates per mile have fallen enormously, over many decades. Where is your data that says otherwise? That article supports Greg’s point. It leads with a scary statement that the US is in 42nd place among 48 countries for fatalities per _capita_ but neglects to mention that this is because people drive more here. Later, it correctly says that fatalities per mile are less than one third what they were in 1970. When measured per mile, the US isn’t the safest place to be on the road (Great Britain has that distinction), but it is among the safest places. You are right that the increase in driving is a confounding factor. However, Europeans also are driving more than they used to. The reduction of fatalities in traffic (just like in war) is also due to better emergency care… If the U.S. goes from safest to 42nd out of 48th, others are doing something better than we are! Funny how a piece of polystyrene coated in plastic can really stir things up!! lol. I am a former racer with over 40 years riding experience, including 15 years bike commuting in NYC without a helmet. I remember when the only helmets available were the leather hairnets required for USCF races. Helmet technology has advance so far in this 40 year time period and taking advantage of this is a smart choice (and a personal one). My helmet saved me serious injury when I was hit by a car in Italy. I always wear one, but still respect the decision of others to not wear one. Of course, the best way to reduce cycling deaths is an increase in driver education/awareness – including that of so many police who seem to feel that bicyclists are “asking for it” by using public roads. One important point that does seem to have been overlooked here, is visibility: Blinky lights & bright clothing does a good job in alerting others of your presence. Studies in England has shown that drivers give riders more passing space when the cyclists are wearing brightly colored clothing. Being seen (with or without a helmet) helps one to avoid those accidents with cars/trucks that cause so many of the worst injuries. Regarding the studies on passing space in the UK, they found that some outfits resulted in an increase in the average passing space, but clothing made no difference to the most dangerous overtakes within 50cm / 20inches. In other words, it didn’t matter what the researcher wore, 1%-2% of drivers overtook within 50cm. It’s unclear to me which would bear more fruit: educating drivers or educating riders. I suspect it depends on the country, but here in No. California, where driver awareness of bike riders is pretty high, I suspect that teaching cyclists how to be more defensive, aware, cautious, visible, etc. would bear the most fruit. I think this problem may be at the crux of the civil rights issue that Jan alluded to earlier. Police don’t enforce the law so much their perception of it, and the social expectations of their community. If motorists know that police are not likely to protect a cyclist, and will always side with the motorist in any conflict, they have that much less incentive to treat cyclists with respect. There are many people skeptical of NHTSA FARS bicycle statistics that conclude a high proportion of cyclist fatalities are riding sans helmet. LAB recently used news accounts to tabulate cyclist fatalities. The results are broadly consistent with FARS except that the proportions of cyclists killed while wearing a helmet is wildly different. I myself went through the FARS codebook to see how they coded helmet use and contacted folks at NHTSA to clarify a few issues. Long story short, they gave me vague responses that failed to answer any questions. Thank you for a balanced post and your subsequent moderating to keep this discussion civil and logic-based. First, about the pie chart: I’ve been really annoyed since that first made the rounds. The headline “Why you should always wear a helmet” is a classic example of a misleading conclusion of objective data. My question is the following: what percent of the general cycling population were wearing helmets at the time? The number of people in the chart who died while wearing helmets is about 6.8 percent of the total. If 6.8 percent of the cycling population were wearing helmets at the time, them we could conclude that helmets had no effect whatsoever. Without this crucial piece of data, the pie chart is meaningless. I never wore a helmet as a child in the ’80s, from ages 6 to 15. Then, around 1990, I bought a helmet and continued to wear one every time I rode for the next 20 years. Since 2010 I have rarely worn one. For me to resume wearing a helmet when I bike, but not when I drive or walk on city streets, I would need to be convinced that a) biking is significantly more dangerous than driving or being a pedestrian, and b) that helmets significantly reduce the risk of riding. The data I have seen is that riding is more dangerous than driving per mile, but less dangerous per hour, and comparable to being a pedestrian. And I have yet to see an overall population study that conclusively shows a significant risk reduction from wearing helmets. This is in contrast to seatbelts or motorcycle helmets, both of which have been conclusively shown to reduce risk. I encourage everyone who wants to to wear a helmet. I’m glad my parents and wife do and would never urge them to stop. I wear one when mountain biking or in organized rides that require them. But I’m happy to see more people feeling comfortable riding without them in my community (Berkeley, CA). When I return to my birthplace (Copenhagen, Denmark), I see an entire population of sensible cyclists riding unhelmeted. Your core conclusions are unsubstantiated by your arguments . You’ve proved this by comparing the head injury rates between two countries (Sweden and Denmark) but you go on to say in point 2 that it’s a populations attitude to cycling that is one of the biggest factors in cycling safety, specifically quoting Copenhagen as an example of a safe city. That in itself means that you cannot compare stats between countries. You have also drawn the conclusion that helmet use doesn’t have a great impact on fatality rates, but your arguments (and undisclosed stats) relate to head injuries. Not the same thing. A helmet may not stop you from getting a head injury but it can most certainly stop that injury from becoming fatal. The same applies to the “drunk” cyclists that you mention. Yes, I’ve seen many people riding like that in the dark but the fact that a disproportionate number of deaths falls into this category of non-helmet wearers can only go to suggest that they may have survived their accident if they had been wearing a helmet. I really don’t see how any of your statements (most of which I agree with) lend any support to your conclusion. Your arguments have nothing at all to do with helmet use discouraging cycling, yet you somehow jump to this conclusion. Your arguments all relate to safety being directly linked to the proportion of the population that cycle and the attitude of other road users to cyclists. Where do you suddenly get the fact that emphasizing helmet use discourages people from cycling? How can this possibly be an argument against wearing a helmet? Yes, teach safety to cyclists and road users, but in the vast majority of countries you also need to wear a helmet. My conclusions: You’ve strung together a few (mostly) sensible statements but then jumped to completely unrelated conclusions with respect to helmet use. There are a very few countries, e.g. Holland, where they have done such a good job of integrating cyclists into the transport system that they have removed most of the risk. For the rest of us that share the roads with mostly considerate drivers but a significant number that fall into the opposite camp, a cycle helmet can do no harm and may save your life. Sorry for the long reply, I just thought that the original article merited it. How can this possibly be an argument against wearing a helmet? There is nothing in the blog post that was intended to “be an argument against wearing a helmet.” I made an argument against focusing on helmets to the detriment of other aspects of safety. It is interesting how many people read my blog and try to figure out “Is he pro- or anti-helmet?” The answer is in the title: Neither. That will always be interpreted by someone as an argument against helmets per se, as they just can’t see the wider picture which in the end really is the whole attitude of our society to risks and dangers, be that in sports, road traffic, activities of daily life, consumption, of things like alcool, or consumption on the whole. We tend to see dangers where there are none, we don’t see some dangers because they’re to great too be easily percieved, we magnify some dangers which are in fact rather small etc. and all the while we direct our limited resources against those dangers often very ineffectively because of all those biases. Jan, you’re answer still doesn’t address the fact that you have written an article where your conclusions are in no way supported by your arguments. You’ve strung together a few (mostly) sensible statements but then jumped to completely unrelated conclusions with respect to helmet use. I am glad you think my statements are sensible. As to the conclusions with respect to helmet use, it seems that we agree on a) helmets can prevent injuries. My second point is that if you want to reduce cycling injuries and fatalities, focusing on helmets doesn’t seem to work for a variety of reasons. Without a doubt this is the dumbest post you have ever written. The conclusions you draw do not support what was said and I think you have been swayed by your own bias and not providing a logical conclusion to the discussion. I suggest you spend some time talking with neurosurgeons about head injuries & the benefits of helmets. I can tell you from personal experience wearing helmet saved my life (struck from behind by car). I know another cyclist who was hit from behind not wearing a helmet. No broken bones only a severe head injury that caused his death two days later. When I was in the Air Force we had a kid who flew off his bike when a car door opened up. Destroyed his bike. Scrapes and cuts for him (wearing a helmet). A few months later this same guy on his new bike decided to take it for a spin without a helmet. Going down a hill hit his breaks too hard and went over the handle bar. Severe head injury in a coma for 6 months. In your recent accident what would have been the outcome if you had not been wearing a helmet? Yes riding a bike is safe most of the time, but do you know when you are going to be in an accident so you can wear your helmet. A helmet is cheap and easy insurance to protect the most vital part of our body, the brain. To ride a bike (or motorcycle) without a helmet is reckless. I believe strongly that helmets can prevent many injuries. I have cracked a number of helmets, and believe that without a helmet, I would have suffered worse injuries. But that is besides the point. The question is whether insisting on helmets to the detriment of other aspects of safety is a good idea. The data suggest it isn’t. Well I , for one, wont be taking MY helmet off in an attempt to reform society’s attitudes towards cyclists. A last line of defense against unexpected crashes seems pretty good to me. Kids are a whole different story! They don’t have the maturity or experience to make the informed decision whether or not to wear a helmet; that decision falls to the parents. Kids are most at risk from not wearing helmets because they have the least experience and also are the least visible to others (because until they’re teenagers they’re smaller!). Kids are also at an age where teaching them about anticipating traffic, controlling the bike, etc., yields the greatest benefits. It is funny because growing up and learning to bike in the late 70’s through the 80’s and late 90’s I never wore a helmet, there were no helmets. We kids were encouraged to just go off and do whatever…which we did. It wasn’t until I was an adult and moved to British Columbia where it was THE LAW, did I start wearing one. I’d definitely insist kids wear helmets! Apparently kids do not develop their spatial brain skills until after 7 and can find it difficult to judge distance, speed etc… And I was all over the place on my bike at 4 years old! I’ve got to disagree, mandatory helmet use for kids has dropped the rate of kids on bicycles by nearly 60% http://www.cyclehelmets.org/1250.html in Alberta CA. Many of us vehicular cyclists, rode as children-in traffic-without helmets before the “safety craze” started in the 80’s. And in doing so we learned how to ride safely, and many of us have decades of riding under our belts. I still can’t recall a singe kid I know that died while riding a bike back then, I can count on both hands how many kids I knew that died in car accidents through my k-12 years at school. Sure we had bumps and bruises. I get sad every time I go to my kids schools. The racks are empty, other than a couple bikes which aren’t the facilities mounts. I remember all too well that walking and biking were the #1 way kids went to school in the 70’s and early 80’s. Why are the racks so empty you ask?….Both my kids don’t like to ride bikes because they have to wear helmets – it’s the only answer they ever give when asked. My son lives only a mile from the school in which the main route (no major intersections) is a neighborhood greenway/sharrow, and he still would rather walk or take the bus. I’m willing to go out on a limb and say that helmets shouldn’t be mandatory for any bike rider – regardless of age. We are currently depriving nearly entire generation of kids the freedom, joys and the desire to ride a bike. Increasing future ridership numbers is going to depend on getting kid ridership levels increased substantially. Because honestly, in my observations—kids numbers are now nearly non existent (and I live in Portland mind you). There were many more kids riding everyday in the the small town I grew up in Kansas till 5th grade, and many more kids in the Detroit burbs that I moved too riding bikes than I see now. And were I to be totally honest, without my riding so much as a kid. I highly doubt I would ride much at all now. Every time I get on a bike my childhood shadows me in one way or another. And yes I know, kids will die. But they do now, in many horrible ways. With and without helmets, on and off bikes. And honestly, they do make up a very large proportion of the deaths in the bike numbers too. I’m even willing to bet that they make up the vast majority of the helmeted deaths —but no one ever breaks into those numbers. I will say more people choke to death every year than die in bike related collisions, more people also die from accidental strangulation while sleeping in bed too. Almost as many die from poison insects. And lets not even get into all the falls, gunshots, and diseases that make all the bike numbers look tiny. Nearly as many people rode in the streets of Portland naked this last Saturday on a two hour ride, than will die across this entire nation this year. It wouldn’t surprise me if this is the year more people rode naked than the national fatality numbers end up being. Feel free to check out my stats (http://webappa.cdc.gov/sasweb/ncipc/leadcaus10_us.html) warning: WISQARS is one hell of a rabbit hole. Safety always has been – and always will be a myth. And riding a bike has always been safe. I’ve taken a few spills. Helmets get credit for mitigating various injuries, be they bumps and scrapes or spells of unconsciousness, but I’ll never claim they saved my life. The industry itself doesn’t make many claims, either. They get certification, but then only shrugs about durability due to age, heat, or short falls: “just buy a new helmet”. They’re darn near indemnified for damages while you use them, too. Better safe than sorry, none more so than the manufacturer. Anecdotal correlation: brainless riders often show how little they have to protect. I find this subject really interesting – the idea that on a societal level, helmet use can actually make cycling less safe. I think the helmet use makes cycling less safe point certainly applies to places where helmet use has been made compulsory such as Australia. That has resulted in a large drop in cycling rates and “safety in numbers” and a higher accident rate for the people who keep on cycling. While “correlation does not mean causation”, countries with the highest cycling rates have the lowest accident rates and few people wear helmets. I liked this post, and agree with the summary. Good traffic skills and bike handling along with safe habits in general will go much further than last resort safety measures. The only time I’ve ended up in the hospital from a bicycle related accident was because of a knee injury; I fell over from a dead stop because I left one foot clipped in while leaning on the other, unclipped foot. While conversing with the other cyclist around me, I evidently became too complacent and leaned slightly in the other direction (the clipped-in foot), started falling over, and couldn’t get my foot unclipped in time. So what’s the solution? Knee pads? Learn to track stand with a freewheel? (I admit, that certainly couldn’t hurt.) No, I just unclip both feet whenever I stop for anything more than a stoplight or sign. A good, safe habit to have, and one that I should have been doing all along. I have known two people who have woken up on the side of the road not knowing what happened to them. First is one of my most skilled friends who regularly rides very quickly. He was on Hines Drive – one of the most popular riding sites in Metro Detroit. He was wearing a helmet and experienced no long term issues once his other injuries healed. The other ride was a co-worker who went for a slow Sunday ride on Grosse Isle – a quiet, affluent residential island in the Detroit River. She was not wearing a helmet and though she had no other injuries, she suffered a debilitating brain injury that required her to leave work and remain on disability. Neither rider had injuries or bike damage to suggest being hit by a car. While these may be anecdotes, they were enough to convince me to NEVER ride without a helmet. If you are drunk, isn’t it better to ride your bike instead of driving a car? I think if you are drunk, it is better to stay off the road! 4. Front wheel slips out on wet rubber RR crossing pavement while traveling at slow speed and bike vertical, violent side head impact on pavement, no injuries other than a bruised shoulder, replaced helmet (2013). Historically, I have ridden between 70 and 80 thousand miles. The first incident happened as I left work and was still on Company property. The last three incidents were on city streets. Whether you ride a bike with a helmet or without a helmet makes no difference to me. I consider myself to be a safety oriented cyclist who does not take risk. The first crash was caused by a driver pulling out of a parking lot and not looking. The second crash was my fault for not maintaining my little commuter bike. The third incident was a result of being in the wrong place at the wrong time and the cause of the forth incident is unknown. Riding without a helmet for me is not an option. As I stated, it makes no difference to me if you wear a helmet of not. One cyclist I know, refers to riders without helmets as “potential job openings”. I am glad you have fared relatively well in all these accidents. I have had my fair share, and I was glad to wear a helmet, too. One cyclist I know, refers to riders without helmets as “potential job openings”. Does he also refer to cyclists who weave in and out of parked cars that way? Or is he exhibiting the bias toward helmets as the main safety issue that I am concerned about? As you guessed, the “cyclist” is me. My crash experiences results in helmet bias. As much as I would love to ride with a traditional cycling cap, my cycling experience and industrial safety training prevent me from riding without a helmet. Regarding reckless cyclist, I suspect our opinions are similar. Yes, I refer to cyclist weaving in and out of parked cars as “potential job openings”. Regarding helmets, my friend Boson hit something in the road, crashed and was knockout. This time he was wearing a helmet. Sometimes, he rode without a helmet, I suspect no more. I entirely agree with Jan says here. But I would also like to point out the benefits of wearing a helmet in minor crashes. I had a low speed crash about 200k into a 600k. My helmet hit the pavement with a pretty good clunk. I got up and finished the ride, none the worse for the incident. I believe that without the helmet I would not have suffered a serious injury, but I probably would have hurt myself enough to discourage finishing the ride. The helmet did not save my life, but it did save my ride. I am glad you are fine. Low-speed crashes often cause surprising damage. A friend once broke his hip in multiple places when he slipped in mountain biking, landing on soft forest soil at 5 mph… The same guy had raced motorcycles for years and slid out at very high speeds, without injury. One of the difficulties in establishing whether (and to what degree) helmets can help you either (a) prevent a fatality) or (b) reduce the severity of an injury, is that it’s nearly impossible to do the appropriate controlled study. Jan stated what it would take to execute that study, and it’s impossible that it can ever happen. So it’s always going to be a lot of speculation on whether a minor injury sustained while wearing a helmet would have been worse without the helmet. Common sense would tell you helmets help, at least more than they cause harm, but unfortunately there will never be unimpeachable data to support that belief. [Personally I believe that helmets DO help]. Once helmets came on the scene, my outlook changed. Now I can look back and see how carefree I used to be. Yes, I still have a few carefree attitude, helmet less, rides, but, every time I go out the door to take a bike ride, I give wearing a helmet, and my safety, a thought. The world and I have forever changed! Is that a good thing?… a bad thing? Anyway, I feel the difference. You said “The greatest danger of being hit by motor vehicles is at intersections, not being hit from behind. ” Over on the Retrogrouch blog (http://bikeretrogrouch.blogspot.com/2014/06/challenging-assumptions-about-bicycle.html), he discusses the latest LAB report that indicates times have changed with the advent of distracted driving. I haven’t looked at the actual report, but it certainly seems plausible. The LAB report separates “getting hit at intersections” into multiple categories. If you add up all the intersection categories, you get 37%, roughly the same as “getting hit from behind”, which is at 40%. The other 23% are head-on collisions (6%), accidents that did not involve a collision (7%), sideswipe (4%) and other (5%). You opened a supersized can of worms here. One thing I find interesting is here in Italy, the “bici d’epoca” scene, where the bikes should be pre ’87 with costumes to match. No helmets required and with a modern brain-bucket on you look rather silly when the rest of your stuff is more than 25 years old. Italy has (I believe) the second highest per capita concentration of lawyers next to California, yet plenty of folks are riding l’Eroica and similar events wearing nothing more (myself included) than a cloth cap, or at best a (worthless) leather “hairnet”. I would think if the risk of injury was really increased this would never be allowed to happen. The “I woulda been killed without a helmet” argument is just like the cancer screening stuff, “Thank gawd they caught it in time!” when the statistics show needless biopsies and expensive treatments. In the end, wear a brain bucket if you like (though if you rent a bike from us we DO get all paternalistic and require it) but in the end it’s YOUR head after all. Agreed on all points, well said. It is a touchy subject, and evidence can point both ways depending on how it’s directed or who is funding the research. I really dislike wearing helmets, but I do so because it is the law in British Columbia. I have dealt with the provincial car insurance company ICBC after a major car accident I was in, and I would never ever want to give them any reason to nitpick. If a cyclist gets into an accident with a vehicle and is NOT wearing a helmet, it will go into the reports and the cyclist will be considered having taken unnecessary risks, disregard for safety and be punished even if not at fault. I personally do not understand why people would be hesitant to cycle because they have to wear a helmet, they really must not want to ride anyway! People complain about helmets being hot, ugly, wreck their hair-do..my gosh so petty. The point about the drunk cyclists because they got their driving licences suspended is very true, and NEVER mentioned elsewhere! It is especially true in rural areas where people seem to drink way way more than in cities. I live in a rural area, not many cyclists, but there are all these rough looking guys who are riding the roughest cheapest department store bikes. They do not follow the rules of the road at all, do not say give a nod or hello to other cyclists, and usually spotted coming or going from bars or liquor stores. It is quite obvious the only reason they are biking is because they had their licences suspended. Plus being a rural area, there are endless drunk drivers in cars, often with expired insurance! That makes me nervous, and it’s all the time, not just late at night or on weekends. That is a risk factor for accidents, and the highway is not very safe for cyclists. For all these reasons I wear the helmet as well. Sure, if I was in a place that did not require helmets, and there was a cycling culture I would forego the plastic hat. Here is an article that is along the lines of Jan’s point. A good read. Also, there is a link in the right sidebar, on “Why don’t you see ‘wear a helmet’ plastered all over this site?” Also a good read, with more information on this topic. Here is a direct link to the helmet piece. Jan, you need to get another doctorate, but this time in cognitive psychology relating to cycling. When you ride with your kids as they learn to drive cars, (the fun that awaits you), you will see how much of safe driving is knowing and seeing what one needs to see. Driving is really about selective perception. Cycling is the same, recognizing what one needs to see is really the main factor in riding without problems. Though I no longer do it, the intense attention in urban cycling is why it is such a trip. When one reads comments on helmets, the startling thing is the constant reports of crashes. Is crashing just a standard part of riding? If this is the case, wearing a helmet is wise, though how much faith should one have in 8 oz. of styrofoam. I think that riding bikes is the best preparation for becoming a driver. With my son, we were cut off by a car turning left. He mentioned to me how there was something about the car’s “body language” that made him think that the car wouldn’t yield. I had the same thought… I am encouraged by that, more than the fact that he wears a helmet. I am somewhat surprised with the number of cyclists here reporting crashes. I gave up my car in favor of bike only. Since that time I’ve had a few close calls, some involving cars, others pedestrians, more than one would hope other cyclists. But I have never crashed, let alone come close to hitting my head, helmeted or otherwise. Perhaps helmet articles induce a higher number of people with crashes impacting their heads to comment. Not sure otherwise how to reconcile my experience with what I am reading here. This blog gets read by 4000+ people. So if 10 report crashes, that isn’t a huge percentage. I few years back, when I was deeply involved in the “helmet wars”, I made it a habit to ask cyclists at gatherings how many had had their lives saved by helmets. Normally between one third to one half would raise their hands. But of course there has never anything like a 33 to 50 percent fatality rate in this sport. So I am always skeptical when told yet another story about “My helmet saved my life!! !” I am sure some small percentage of them must be true, but the majority cannot possibly be. There is a risk of serious in injury riding without a helmet. Even if the risk is less than the raw statistics indicate, one must decide if they want to take a chance in being in that small percentage of fatalities. Years ago I was hit from behind by a car on a wide city street, about 8:00 AM, on a low traffic Sunday morning. When I woke up in the hospital 2 days later and saw the helmet, I knew I wouldn’t have survived without it. Very interesting topic indeed. I live in Denmark and even though there are many riding without helmets, the tendency is clearly leaning towards more helmet use; even by the bike commuters. Unfortunately the arguments are often filled with lots of anecdotal “evidence” aka “a helmet saved my life”, and not based on statistics. I’ve yet to see a convincing, real world statistics that helmets actually saves lives or diminishes the risk of serious head injuries. I’m not saying that helmet doesn’t save lives – I’m just saying there’s no proof that they actually do. The statistics that actively support helmet use is often fraught with statistic uncertainties, too small study sizes and political or economical agendas. Oh and by the way: most of the studies that shows a decline in head injuries with increased helmet use also correlates with a similar or higher drop in distance and hours travelled by bike, as is the case in New Zealand and Australia where helmets are mandatory by the law. So if one really would want a significant reduction in bike related head injuries; make some laws that discourages people from riding all together. Haha! Good perspective Jan but yeah! Duck for cover. I objected here in Oz when it became compulsory by not riding or riding defiantly without. Now I wouldn’t go out without it and my kids notarise me if I don’t or even forget my gloves. My wife lost control of her bike one time. She said she just fell down. When I analysed her cracked helmet there were scrapes that were consistent with 3 impacts from different directions. Like you, I question so called driver aids instead of teaching driver skills. The car industry is encouraging lazy and dangerous driving habits. One more thing. My wife works in a childrens hospital where they see head trauma every day. Less than 1% is from a bicycle. I wonder what the statistics say about helmet use relative to mountain bikes? My opinion is that helmets hold the greatest return for use in that discipline. As for road use: ride your own ride. I think my view on the helmet debate is similar, Jan. I posted “Religion, Politics, and Helmets” on The Retrogrouch back in October. http://bikeretrogrouch.blogspot.com/2013/10/religion-politics-and-helmets.html I said in that post that many people’s attitudes about helmets are almost religious — but actual religion is divisive enough without conflating helmets to the same status. It’s interesting that for all the talk about wearing helmets when cycling, there has been no advocacy about wearing helmets when driving (other than auto sport) even though statistics show motor vehicle crashes are a significant cause of traumatic brain injury for drivers and passengers. I assume this is because people’s perception of risk isn’t based upon statistics. 23% of deaths in that study were accompanied only by a head injury, 18% had a combination of injuries to head and thorax (and 25% were of undetermined cause). The 2x figure is an interesting one, because there’s easily that much variation in the risk of driving in various cases, and in cycling in various cases — if you think a sober adult cycling in the daytime needs a helmet, then (if you are rational) you should also think that anyone under 20 who drives needs a helmet, or that anyone driving in the rain needs a helmet. So yeah, the passionate focus on helmets for cyclists is not terribly rational. Slightly off topic, but unlike helmets and unlike effective cycling, use of daytime running lights has been tested in a randomized trial (but not blinded — the researchers did their best to correct for that, but the question remains). They seem to work quite well — over a year, the treatment group had a rate of crash injury treated at ER/hospital of 0.0054, and the control group 0.0115; insurance personal injury claim rates were 0.0049 and 0.0085, respectively (I report these both because these are the outcomes “that matter” and it would seem like treatment group enthusiasm would be less likely to result in a “it’s just a flesh wound” non-report if an ER or insurance claim was involved). There’s safety to be gained simply by moderating speed. 14mph is only half the kinetic energy of 20mph; stopping distance is improved and possible damage is limited. Any critique of “the Dutch are so very safe” that begins by pointing out that they are “slow” implicitly acknowledges this. Except for those “hit from behind” accidents that are the hardest to avoid. Intersection risk can be minimized through careful riding, but the “hit from behind” is the one you cannot do much about. I think it depends quite a lot on the nature of “hit from behind”; I was badly hurt in a hit-from-behind accident decades ago that knocked me off/over the bike (I have to extrapolate from the pattern of injuries, because I remember nothing). That’s not a statistical sample, but if that sort of from-behind accident is common, then the cyclist’s speed still matters; the main function of the car is to knock you off your bike, and your harm is determined by speed, obstacles, and the luck of the fall. I think there’s also some peculiar psychology at work on hit-from-behind; I ride several different bicycles, and when I am on my cargo bike (unloaded) it seems that I get wider passes than when I am on a “normal” bicycle. The running lights appear to also help (all the bikes have running lights now), but again, this is merely how it seems to me and not a proper study. When hit from behind, what matters is the closing speed. I once was hit from behind by a pickup truck going 55+ mph. Fortunately, I was going downhill at 35+ mph. So the closing speed wasn’t that great. I flew for 89 feet, had tons of road rash, but no other injuries. If I had gone 15 mph, I might not be here to write this. Not to push the point too much, but you sound surprisingly certain for a scientist with a single data point (not unlike helmet advocates motivated by their single data point). We don’t know much about the distribution of glancing versus direct hit, nor do we know that much about the distribution of injuries in “launch” versus “landing”, nor do we even have a good handle on the usual (in)elasticity of the collision. In the three from-behind crashes I know of (mine, a good friend’s, and a total stranger’s just this Monday), the hit was glancing, and the injury was almost entirely on the landing. That’s not a statistical sample, but it’s enough to make me think that not all from-behind crashes are direct hits. I’ll take a wild guess, and propose that you really like to ride fast on your bicycle :-). Good thing that you were prepared to duck for cover as the lack of logic – the constructed manner in arriving at illogical conclusions, points to an conclusion in search of an argument. But let’s make this very simple. In my 68 years, riding somewhat seriously for the last 49 of these years I have taken at least 3 falls with a helmet where there was some helmet impact. Every time my helmet has been impacted it has been replaced, Every time my helmet has been impacted my head has been OK. I do not know what might or might not have happened to my head from any of these impacts and don’t need to know. I’m OK. Helmets have been replaced. People fall. Poor bike riders and great bike riders. Cars, ruts, holes in the earth, stumps and roots and rocks, jaywalking kids and dogs and deers all happen. Not a reason to avoid riding. Plenty of reason to wear a helmet. Excellent point(s). I agree that the article makes little logical sense. While a helmet will not decrease the risk of an accident and is of little use in a collision with a car, it will, even in the most mundane and ordinary of cases, prevent severe physical harm. I don’t wear mine in anticipation of a collision with a car or another cyclist – rather, I wear it in anticipation of unforseeable events which may cause me to fall and strike my head. It’s just an added (and reasonable) layer of safety. And a smart one at that. In my opinion, aversions to wearing helmets are just foppish. In my opinion, aversions to wearing helmets are just foppish. Whatever the reason, it’s clear that insistence on helmets drives down cycling participation, whether it’s for reasons of vanity or because the general public overestimates the dangers of cycling. And greater participation has been shown as the key to reducing risk. How does the fact people fall on their bikes detract from the logic of Jan’s argument? The article says bike safety in the United States is weighted in favor of helmets to the point many other important issues – training, traffic management, bicycle maintenance, road and sidewalk design – are overlooked or ignored altogether. It is clearly logical to point out that telling a cyclist to wear a helmet while avoiding other issues that can make cycling safer for all is short sighted. Ironic that the title of the article is includes the essential words ‘missing the point,’ given the low level of reading comprehension that has been displayed. From someone who has been inside the UK and European debate for over 15 years can i say well done for a well argued and structured article which seems to catch most of the main points. The only point I see missing is the comparison with other transport choices. The stat I always use that catches most attention is that the biggest number of deaths from head injuries in the UK are car passengers, followed by pedestrians. But suggestions that they wear helmets get dismissed as “just stupid”. 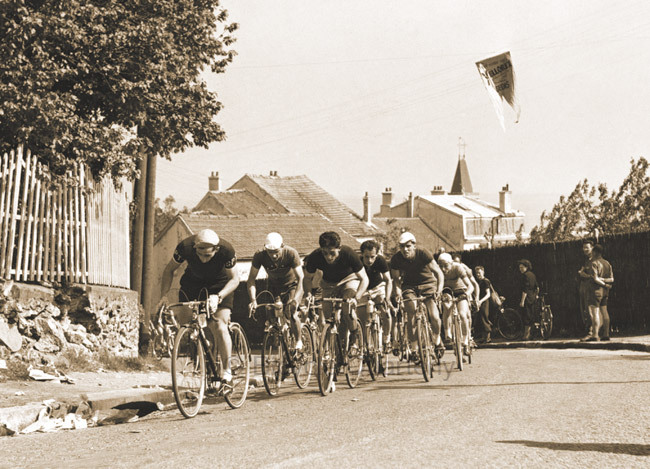 Societies in which cycling as a sport has set the tone for the past 50 years seem to have blithely taken on helmets as part of a uniform, whereas those countries where the vast majority see cycling as daily transport don’t see cycling any different to walking and therefore will not accept the need to put on special clothes. I am writing this from a holiday in Australia where the dominant impact of lycra on the perception of cycling is so strong as to be almost alarming – and compulsory helmets follow the pattern. Noting one of your pictures, will you cover the safety aspects of riding on the wrong side of the yellow line in the future? Especially downhill on semi-blind corners! A fellow Lake Washington Blvd rider! I hoped people would think the photo was taken in Japan! But seriously, I only cross the yellow line to line up for the next corner once I have a clear sight line. Otherwise, it’s hard on the brakes, and then turn at a slower speed on the right side of the road. Systematic reviews use a transparent and systematic methodology to identify and systematically summarise the research findings. The Cochrane Collaboration systematic reviews are consider the best evidence available for questions related to health and health services delivery. Most importantly, the methods account for the presence of bias, when they present their findings. While Jan is correct in stating that a randomized control trial would provide very good evidence, this review summarise the evidence that has been produced to date. So, the best evidence, based on a Cochrane Collaboration systematic review is: “Helmets reduce bicycle-related head and facial injuries for bicyclists of all ages involved in all types of crashes including those involving motor vehicles.” As a matter of public policy, I would argue that jurisdictions that base their bicycle helmet laws on this evidence (please note that the review is open access http://onlinelibrary.wiley.com/doi/10.1002/14651858.CD001855/abstract;jsessionid=6B2BAE28AC865B73322C537D098578AA.f01t01), are doing the right thing. If you, as the cyclist choose to not wear a helmet, that is your decision, but please don’t make the claim that not wearing helmet will not reduce your risk of injury. However, on a societal level, insisting on helmets has detrimental effects: It depresses the number of cyclists, and it takes the focus away from accident prevention. This UK paper attempts to quantify the overall costs to society of making helmets compulsory. Making helmets compulsory would save a number of lives, but it also reduces cycling levels, and that ends up killing more people than you save from making helmets compulsory. So a compulsory helmet law would lead to an overall increase in premature deaths and a resulting cost, not a benefit, to society. I looked at the abstract of the review you quote, and they say that “helmets reduce mid-face injuries by 65%”. It’s hard to see how a bike helmet can protect your nose, teeth and cheeks. What we see here are two different populations, one wearing helmets, the other not, that have many dissimilarities, not just the difference in helmet use. Years ago, a study at Seattle’s Harborview found that helmets don’t only prevent head injuries, but also broken legs and injuries to your torso. Of course, this isn’t true. What seems to happen is that people who don’t wear helmets are also the kind who brush themselves off after an accident and go on their way, unless they cannot move. So they only go to the hospital with serious injuries. Those who do wear helmets tend to be the cautious types, who will not turn down the ambulance, and will be admitted to be checked over. It’s obvious that they’ll have fewer injuries even to the body parts that the helmet cannot protect. This doesn’t mean that helmets are useless, but it shows how hard it is to study their effectiveness. As a scientist, I would approach this by looking at helmet use and cycling fatalities in national comparisons. I would correct for cycling participation (% of trips taken by bikes) to account for the fact that more cyclists on the road automatically make cycling safer. Then I would index the fatalities against motorist and motorcyclist fatalities, to account for the fact that traffic is more dangerous in some places than others. Perhaps that would provide some useful conclusions. It’s all an artifact of selection effects, of course. I am now tempted to design a study that truly assesses the effectiveness of helmets, since it doesn’t seem to have been done before. We have 2 PhD’s among Bicycle Quarterly‘s editorial team, so we are plenty qualified, but I am not sure we need another distraction. If somebody reading this is a graduate student (or knows one) looking for a good project, please get in touch! The point about “facial injury” was from a table summarising various research into injuries, so this comes from another researcher rather than the author of the paper themselves. The paper doesn’t actually use this researcher’s data in their analysis. The entire paper was just looking at other research and summarizing it. They may not use the data about mid-facial injuries, but from the abstract (I didn’t read the full paper), it appears that they used the other data. My point is that any study that shows that helmets protect your nose (or your arms and torso, as in the Harborview study) are flawed. Having REAL data and scientific proof doesn’t matter much. As I referenced earlier with the cancer screening issue, it quickly devolves into the “If I hadn’t been wearing my helmet/gotten my prostate checked/had my colonoscopy I would not be alive today!” argument where facts and statistical probabilities no longer matter. A study like this is a waste of time and money. The medical folks make a ton of profits on needless screenings while the helmet makers make a lot of dough selling brain-buckets, they’ll out-shout and out-spend any effort to suggest their products are useless. While not a bicycle crash, my wife fell while standing on roller blades. The forehead portion of her helmet was crushed, but it appeared to have prevented her face from finding the asphalt. Considering that helmets are designed to pass a test for 0 mph topple-over crashes, I guess she had the right equipment for her particular user failure. Cochrane, however, excluded a lot of studies that found contrary results. Here is the first paragraph on a more recent meta-analysis. In short, it leads me to believe that the net effect of helmets is probably small. Here is a link to an ungated version of the paper. In the light of my recent accident I would be very interested in a study that focussed particularly on the sports cyclist. Is there any evidence that they arer better protected with a helmet or not (or maybe even less – rotational injuries)? I still don’t think I’ll bother with a helmet for commuting, but I might get back to putting one on for fast rides. As far as when to wear helmets, I’d wear one commuting all the time, since that is where you face the most danger – your recent accident non-withstanding. When I look over my serious accidents in almost 30 years of almost daily cycling, only one happened when going fast – during a cyclocross race due to what you could call an equipment malfunction. All the others were at low speeds, in situations where I thought I was safe. AFAIK, there is no study that specifically monitors sports cyclists. Although you might think that results for adult men might be more meaningful. The reason I’m wearing a helmet even though I admit there is an extremely small chance for an accident to happen where it would be of use, is that head injuries have the potential to be absolutely devastating. Brain damage is such horrible thing that it completely changes the equation of risk analysis for me regarding bicycle helmets. I’m only interested in this subject now because I’m newly involved with promoting biking. And I’m interested in the social aspects rather than the science. Science is cool but there’s a LOT more going on. Right now in our town (and probably the nation) the booming sector is urban youth “bike party” and I co-host our growing, socially relevant main ride. Helmets aren’t mentioned and neither are waivers. About half wear helmets. If we had a helmet rule we would disappear (and the group might re-form without us across the street). We are well accepted by the “normal” non-biking community and we are built around inter-acting with the rest of the town. We are now reaching out to the big old local bike club. Can you see where this is headed? …They are shrinking and they have an irconclad helmet rule. They haven’t seen “just plain fun” on cheap bikes since the 70’s. And they haven’t seen young bikers since they were young. We’ll see if we can bridge the gap. Good for you to work on making cycling popular and “bridging the gap” between experienced riders and novices. Science is cool but there’s a LOT more going on. Science is more than just physics… There is a reason we have a social psychologist in our editorial team! I hadn’t quite thought of it like that! Maybe I’m reading you wrong, but here’s an expansion on beginners and experienced… “Experienced” fitness riders are novices and “fish out of water” and “out of it” when it comes to the life-integrated style of urban riding. It’s easy to spot the expert rural fitness riders and racers at a big urban bike party. They’re riding the wrong bike, wearing the wrong clothes, and looking dazed. When they ride their “serious” bikes (which tend to be race bikes!) in the “urban jungle” they wobble and they and their fragile set-ups look likely to crash at any moment. They then bail out of the best of the fun because they don’t have lights and have to go home early — or because socializing isn’t part of their training plan! Yet we find that urban riders often have lots of cross-over skills, might even be “serious” riders some of the time. A side thought… Commuting makes an interesting contrast to erranding. Commuters might ride far and be “serious.” An errander might just be making a short hop to a grocery store with a front basket. They might include riders who on the outside seem less serious. Our local club riders are occasionally commuters but RARELY are they erranders! Commuting seem to fit well with the serious mode but less with an integrated mode. Different skillsets but the errander’s are more important, I suggest, and possibly more developed. A commuter often totally changes modes upon arrival to work. An errander must integrate smoothly since they’ll be shopping and doing things amid and with “normal” people while in their biking attire/mode. Their attire has to be both normal and versatile. And their bike is less ‘private’ — it doesn’t get stashed away; and it’s less likely to be festooned with garish geegaws. It’s about more than utility. It’s part of the status game and might be proudly displayed like any car or motorcycle in the store parking lot. Indeed, it’s front’n’center near the door. Concl: commuters tend to have fewer all-round bike skills, use an isolated cocoon mode, align better with an isolated fitness rider mode — and do less for bike normalization than an errander. …And I’d guess it’s more likely for an errander to not wear a helmet. So to me it’s neat how helmets just don’t stand alone. Resolved: We should be doing more as a community and as a society to make cycling more accepted and safer. We should be activists and militant about the casual acceptance of cyclist carnage. However, that has too little to do with helmet requirements to permit one to use the small amount of intersection of the two to undercut helmet use. Not logical. My kids cycled all the time in Copenhagen, where they rode their bikes to school along with most of their classmates. When we moved to California, where they were required to wear a helmet, they stopped cycling. And they were not the only ones. Very few kids rode bikes to school because they did not want to be seen in a helmet. As for me, I wear a helmut when riding my “sport” bicycles, perhaps because it seems fashionable in this context, but not when riding my city bicycle. I find that forcing helmet laws on cyclists, particularly young ones, discourages them from cycling so I find your comments about the detriments of helmets at a societal level spot on. Thanks for for an informative and provocative post. Electronics equipment is not unlike human brains. It is sensitive to g-forces and such. As a result, it is shipped in styrofoam packaging that is remarkably similar to, albeit more robust than, bicycle helmets. Like the design and testing parameters for bike helmets, it is fairly successful at protecting electronics from the inevitable four-foot drops at 0 mph that occur. However, who thinks those styfofoam-lined boxes will protect the new computer from damage if it is run over by a motor vehicle? It is doubtful the degree of damage between a styrofoam-protected computer and one in a bare box would be discernible. Of course, one never knows when one will simply topple over. Also, a helmet, or a hat with a chin strap, can mitigate road rash. I’d never tell anyone to not wear their helmet if that’s what they want to do, but I hope people don’t get some crazy notions regarding the power of a magic hat to prevent death/injury. People who are driving vehicles are actually sitting in one big helmet. They do not need to put another one on their head to increase their safety. From my point of view, cyclists wearing a helmet are just putting themselves on more equal terms with people driving cars/helmets. Otherwise, there are many factors that make most cyclists even safer on the road: 1) Greater situational awareness due to better vision and hearing, 2) More mental acuity due to the physical exertion and engagement of riding, 3) Generally lower speeds and momentum, leading to 4) Easier maneuverability and ability to avoid accidents. If car bodies by themselves provided ample protection, auto crashes would not be the largest cause of serious TBI in this country, and head injuries would not be the sole injury in 23% of car crash fatalities (and appearing with injuries to the thorax in another 18%). But they are, and they are. (References appear in a comment of mine above). It’s been studied in Australia; even minimal helmets would provide a substantial benefit ( http://www.copenhagenize.com/2009/10/australian-helmet-science-for-motorists.html ). In addition, it’s been amply demonstrated that widespread helmet use is not compatible with popular cycling, and because the health benefits of cycling far outweigh the risk of collision (even here in the US, never mind all the countries where cycling is far safer), this means that bicycle helmet advocacy is a public health catastrophe — put plainly, bicycle helmet advocacy kills people, and it kills far more people than (for example) various car malfunctions that lead to lots of congressional harrumphing, lawsuits, and recalls. In contrast, riding in a car has no public health benefits, so there’s no downside to advocating or even requiring helmets for car occupants. By discouraging driving it might lead to health benefits when former car-users switch to other forms of transportation that involve more physical activity. First of all, let me say I love that photo of Jan and the white haired elder on the tandem. Not yet 70, I am one of the younger riders in my group, which regularly includes two or three over 80. With one or two exceptions, few commenters mention the value of increased auto driver skill. ‘Detroit Mac’ wrote, :”The best way to reduce cycling deaths is an increase in driver education/awareness.” And he goes on to mention that police response contributes with an attitude of cyclists are “asking for it by being there”. 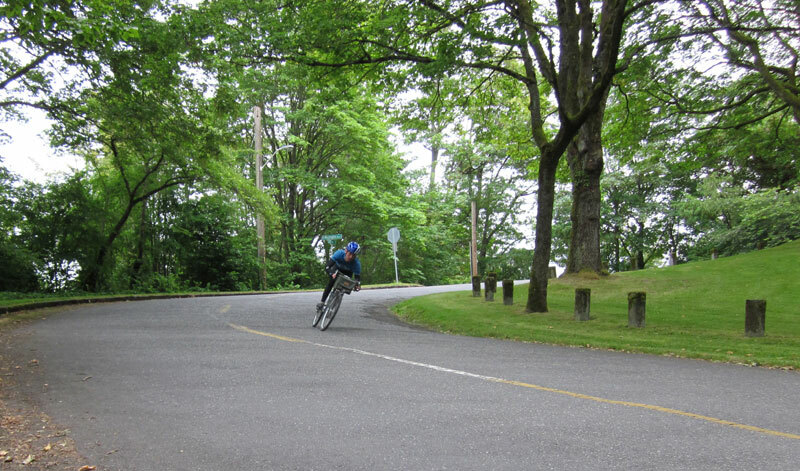 One morning in Victoria, British Columbia, two cyclists were hit in separate collisions but not far apart. The police were quoted in the paper saying, “The cars were east bound at 8:00 in the morning and the sun got in the driver’s eyes.” Well, yes, that happens – and responsible drivers drive accordingly. But the point is the drivers didn’t even have to make their own excuses; the police were making the excuses for them. Driving involves more responsibility. We walk at two years, cycle around school age, but are not allowed to drive until the late teens; and then only with instruction, licensing and policing. It’s a big responsibility to take the wheel, and the sky-rocketing incidence of electronic device distraction shows many don’t accept that responsibility. 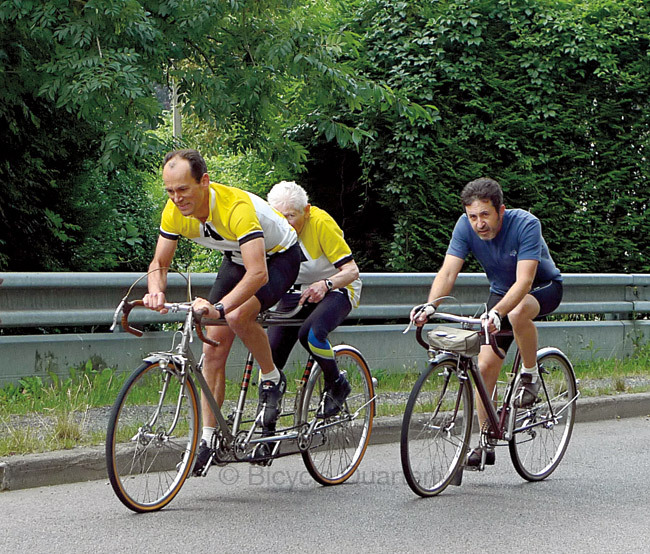 I love that photo of Jan and the white haired elder on the tandem. Your personal choice is only yours, but many of us also consider the implications for society of our behavior. We used to think that riding with a helmet set a good example, but we now realize that wearing a helmet while riding actually may be detrimental for cycling’s perception, and thus, in the end, for the safety of all cyclists. Frankly, I consider my Take A Look rear view mirror attached to my distance glasses as my second most important piece of safety equipment, second only to my brain directing me to ride smart. Say what you will, but in the city at least, the ability to shift my head or my eye just slightly to the left and KNOW what or who is behind me is SO much better than turning your whole body and head. A slight flick of the head, and I know if I can pass a car trying to park or waiting for a right turn. It helps me keep up with flow & pace of driving my bike, and I feel so much more confident and in control. I don’t know what you mean about blind spots. I have no blind spots, I see everything directly behind me. If I can’t find my mirror, I will not go on an extended ride until I find it. I am going to give one of these mirrors to my sister. As I’ve related before, she is not confident riding on city streets as a vehicle, as I am. If I can convince her to use the mirror (or one attached to her bike handlebar), I will report back if she exhibits more confidence in the future. Now I need to find some kind of goggles to protect my eyes from watering and pollen during speedy descents, which of course makes problems for my beloved eye-glass attached mirror. I will not ride without my mirror, and I love it. I guess I am very comfortable looking behind. A recent article in the “Skills” series in Bicycle Quarterly explained how to look behind without swerving. Even when driving cars, I don’t rely only on the mirrors, having been taught in Germany to look over my shoulder to check the blind spots. That leaves the issue of seeing cars approaching from behind. I don’t think you have time to react if somebody is going to pass you very closely, since you only know at the last moment that they aren’t pulling out to pass. And if there is nothing I can do about something, I don’t need to know about it. It’s like testing for an incurable disease – I don’t think it’s useful. I understand that others feel differently about this. About the cars approaching from behind, this is the scenario: there are two lanes going in my direction, I’m in the right lane, next to the parked cars. Up ahead, a car in my lane is trying to park, or a truck is double-parked unloading, or a vehicle is turning right and waiting for pedestrians to cross before turning. A peek in the mirror tells me whether I CAN pull to the left and pass, because the LEFT lane is clear, or whether I must stop behind the traffic and wait my turn. This is where it has been invaluable to me. For a contrary opinion on mirrors, consider me — I’ve tried to make mirrors work for me several times over the decades, and they never did. I could not keep them aimed reliably backwards, and it took too much attention to reorient each time I used it. That is the point for me, is it rational, i.e., does it augment my level of safety significantly to warrant the hassle of a helmet, or not; an irrational factor being at the same time, that for me a helmet is far more of a hassle while commuting than on a sports outing. And about the testing of other bicycle equipment: the bicycle quarterly testing suggests that wider tires are safer while cornering, however my only two falls from a bike where the cornering abilities of the tires where an issue have happened since I’ve adopted wider tires. This of course only anecdotal again, I’m mainly wondering if this particular model of wider tire really is any good in that respect. You are right, much depends on the rubber of the tire tread. I once tested a bike with a tire that had poor traction, and the first time I braked, the front tire lost grip. I crashed and broke my thumb. The tire was 44 mm wide, but all the rubber on the road doesn’t help you if the rubber itself doesn’t grip. We’re well into the land of anecdata, but my preference for fat tires has nothing to do with their cornering ability, and a lot more to do with their performance on sand, in utility cuts, storm grates, potholes, and other road imperfections. Not only is there a smaller risk of losing control of the bike, the ability to tolerate these things gives you more options if there are other road problems. My safety concerns don’t seem to match the ones that I read here that well. I spend most of my time worrying about turning automobiles, either oncoming left turns or right hooks. For most of my commute, either there is no traffic at all (neighborhood streets), or I am on a MUP, or I am overtaking the automobiles. Even where the autos pass me, the posted speed limit is usually only 30mph (and there is current discussion of reducing it to 25mph by default in populated areas). Well, I will say this about the Take A Look mirror for helmet attachment–It was a complete washout: The adhesive, at least on the one that I had, was completely ineffective, and I could not even get to try it once. However, about the Take A Look mirrors for eyeglass temples, I can’t think of a better and lighter little piece of equipment: All metal (I don’t know what the mirror is made of), solid, EASY mechanical attachment to either temple–I assume in the U.S. it would be the left side–and the thing is so nicely thought out that it can be adjusted exactly as you like it, in the three different geometric planes, and it stays that way. Much better than the old plastic ball-and-socket mirrors, which often vibrated out of position. I just wouldn’t be without mine. It’s not a “silver bullet”. It doesn’t make me a dare-devil cyclist, taking chances where I wouldn’t before. It is just extremely useful tool, as useful as the well adjusted mirrors on a car, and I use all three car mirrors, left, right & center. With the bike mirror, I can know in an instant whether it is Ok for me to pull around a car that is parking or turning, or must I stop in my tracks behind it, and start again. I keep seeing the anti-helmet laws crowd ask why motorists aren’t required to wear helmets while cyclists are. The motorist analogue is seat belts, not helmets. Seat belts are required and restrict the range of motion that is most likely to cause severe injury in an accident. A helmet without a seat belt does very little in even a moderate speed crash and with it, would in many cases cause the helmet to hit when the head wouldn’t. Also, motor vehicles ARE extremely dangerous. The point I agree on is that on a societal level biking is made out to be much more dangerous than it ought to be. In Portland, a city where critical mass is more of a reality than in any other American city, there were no cycling deaths in 2013. It’s a function of motorist awareness of cyclists and infrastructure designed to accommodate them. Biking is not dangerous per se compared with most other activities. Motorists are dangerous to cars. And they are more dangerous when they are not expecting cyclists to be there. So achieving critical mass is an undeniably legitimate goal to cyclist safety. However, reaching the conclusion that therefore helmets shouldn’t be advocated for is faulty logic at best. Most cities’ infrastructure and awareness are years away from the top few. Nationwide, the vast majority of accidents are occurring during commuting hours with cyclists exhibiting normal cycling behavior. Helmets are indeed protecting those riders when the accidents occur and the statistics show it. Last, cyclist accidents are not limited to motor vehicle incidents. The bicycle and its components can fail, conditions can change, and even the most experienced rider can lapse. I had such an accident where conditions changed from a drizzle to a downpour. I hit a pothole that I couldn’t see due to the amount of water on the road. Exact size and shape of a bike tire. I landed on the side of the helmet, scratched up my face, and got a concussion that sent me to the ER. The helmet likely saved me from a much worse accident. If it can happen to a lifelong commuter with a good awareness of bike safety and bike maintenance it can certainly happen with a beginning rider. “A helmet without a seat belt does very little in even a moderate speed crash and with it, would in many cases cause the helmet to hit when the head wouldn’t.” How about a helmet with a seat belt, like car racers wear? I can’t believe that would not be safer than without a helmet. Car racers have to wear helmets, and probably should. Bike racers wear helmets, and probably should. But regular transportation drivers, bicyclists and walkers probably don’t need to, even if it would make them slightly safer. It is hard to quantify “probably” and “slightly,” I know! I would strongly reject the idea that a seat belt is properly analogous to a helmet. The only possible similarity is that both are purportedly* promoted to improve safety. But seat belts are tested and certified in very realistic crash scenarios: Crash test dummies, built as realistically as possible and heavily instrumented, are belted into actual vehicles which are crashed into stationary barriers at 35 mph. It’s as representative as possible of a real world crash. By contrast, bike helmets are tested using a magnesium model of a decapitated human head, not a full-body crash test dummy. The model head, with helmet attached, is dropped in free fall, impacting at just 14 mph. And the impact is carefully designed to be perfectly linear and central. The test lacks the effects of having a body attached to the head, it doesn’t test for any glancing blows, and it tests at an impact velocity easily exceeded in a realistic crash. Yet manufacturers design to this standard, with the more expensive helmets receiving much more design time, so the lighter, cooler and more fragile result will just barely exceed the standard. While a source was not given, IIRC, it’s worth noting that the major helmet article in the June 2013 issue of _Bicycling_ (“Senseless” by Bruce Barcott) claims that bicyclist concussions have _increased_ by 67% between 1997 and 2011, a time when more and more helmets were being worn. And since 1980, American and Canadian bike fatalities have not fallen as fast as pedestrian fatalities. Yet there are countless tales claiming “My helmet saved me!” Given all the above – the fragility of helmets, the ludicrously low certification standards, the lack of benefits shown in population data – it’s clear that a cracked helmet is no proof that protection has occurred. It is a good predictor of one more helmet sale, which is the *real intent of bike helmet promotion. As a US emergency physician with over 25 years of practice experience, I believe hemet use should be compulsory for bicyclists and motorcyclists unless the rider has paid for health insurance that will cover the full cost of their helmetless riding related injury. Society at large should not have to pay for head and facial injuries associated with not wearing a helmet. I have seen riders without helmets both die and be seriously injured as a consequence of seemingly innocuous falls that would have been inconsequential if they were wearing a helmet. In addition, I have personally been protected by a helmet that was cracked during a low speed crash. Head trauma is serious business. It’s very easy to be responsible and wear a helmet. As such, I find this post to be bothersome and misguided. You are looking at the individual level only. The societal impact is just as important. It’s just like the idea that if we drive bigger cars, we’ll be safer. And we’ll guzzle more gas, and climate change will cause more deaths than the bigger cars prevent. So are bigger cars really safer on a global level? Your post clearly shows the need for reliable statistics, before any conclusions are made at the level of a state, or a whole country as to the real effectiveness of helmets, and going on from there to the distribution of the costs of accidents. And not only for bicycle helmets but really all the dangers we face daily, cyclists or not. Your job as an emergency doctor, worthy as it is, maybe makes you even more biased than other people, as far as the real importance of risks is concerned. You probably have seen hundreds of head injuries in your career, but even that number does not a statistic make. No conlusions can be drawn even from 500 individual cases as to the risk of their causes on the scale of a country. And it is only the asessment of that risk, on the scale of a whole country, that can determine whatever the state and society have to do to make life as safe as possible while obviously respecting the basic freedom of the individual. I would like to add that emergency doctors do an amazing job. It must be so stressful and often sad to deal with so many people in dire circumstances. I have been to the ER a few times, and each time I felt treated so well and respected in a way that really helped overcome that traumatic stress that comes with having an accident. Thank you! Do you also think that people who commute by automobile should have paid-up medical insurance, to cover their increased risk of heart disease, stroke, and diabetes? If not, why not, since the lack-of-exercise increase in death risk from those causes far exceeds the bicycle crash death risk (all causes, not just those deaths prevented by helmets)? And why would you group bicycle use with motorcycling, when per-trip, motorcycling is 25x more dangerous than cycling, instead of with driving a car — per-trip, bicycling is only twice as dangerous as riding in a car, and that’s even with the cycling statistics polluted by all the sub-par bicycle operators disqualified from driving a car (children, in particular). Do you also think that people who commute by automobile should have paid-up medical insurance, to cover their increased risk of heart disease, stroke, and diabetes? Even assuming that helmets offer significant protection against serious brain injury (and there is no scientific consensus to that effect) we have to consider the idea that “paying the cost” to cover people who are not doing everything in their power to prevent personal injury and illness is necessary in a society where we are not subject to close monitoring and enforcement of every daily activity. I’ve heard the same argument from two of my acquaintances who worked in brain injury rehabilitation. Yet when I asked them about the number of cyclists among their patients, both admitted that cyclists were almost totally absent. For example, one reported that she’d dealt with only one cyclist in seven years of full-time practice, and he was injured in a cycle race, while wearing a helmet. National data shows that cyclists comprise only 0.6% of TBI fatalities. 99.4% are due to other activities, among the most common being falls while walking around the home, motoring, and pedestrian travel. Yet I’ve never heard a proposal to mandate helmets for those activities. Why the prejudice against cyclists? Why the pretense that cycling is a major source of serious brain trauma? I’m aware of at least four studies that examined the benefits vs. risks of cycling. All found that the health benefits FAR exceeded the minimal risks. Again, why the prejudice against cyclists? Why discourage a healthy and environmentally activity by portraying it as an unusual risk? I wonder if a “global FAQ” on this debate could be generated. A few minutes of “strapping up” before operating highly dangerous equipment that kills and maims millions annually is truly no burden at all. Chainsaw operators don’t resent their suit-up time. So, push hardest at the lowest hanging fruit for horror prevention: easy safety reform of passenger cars. Straps and helmets are easy fixes for them — cheap and very little to nil manufacturing overhead. For bikes we need to start with total normalization: the “civil rights” issue Jan mentioned (an amazing concept). After all, the car achieved ubiquity before safety was elaborated. Lastly, I’d suppose the ER docs should be slathering the nation with campaigns and PSAs saying “People, get out of your cars for any errand less than 3 miles!” so that the primary hazard in the first place would be eliminated. …And all the other docs would join them for all the other good reasons to stay out of cars as much as possible. The super-sizing of our population’s waist-lines has to end. It’s so wrong on so many levels. I think we need to quantify how many people actually decide not to cycle because they would have to wear a helmet. Even if the number of cyclists drops after helmet laws, is the law really what stopped them riding? Did they all just sell their bikes or something? Perhaps there is a confounding variable in those numbers. I work at a showjumping stable, and in that world helmets are now really a non-issue. Everyone wears one; even Western riders are adopting them. Moreover, no-one’s fretting about the people who haven’t taken up riding because of all those pictures of riders wearing helmets! People recover to varying degrees from all kinds of body injuries, brain injuries not so much. I don’t care much either way about the helmet thing. I just LOVE seeing the picture of Lyli Herse cranking so hard the top of the timing chain is visibly dropping. She is such an inspiration. Hit my head on a low branch on a slight downhill. I was commuting that way for quite some time, I think traffic was heavier that day, so I moved a bit closer to the curb than normal. I suspect it saved me stitches. I too am a doctor and just know that the risks are high enough that helmet use for her is mandatory. I wear one too. And the ER doc has a point: we all pay for this. My insurance paid well. And……now everyone’s rate is higher next time around. And as the good ER doc understands, dead people don’t cost as much as survivors with permanent losses. That said, should the elderly wear hip pads in case they fall? Why not? Should ladders come wth helmets and limb padding? Should car creepers only be sold with jack stands? Public health issues have to take into account costs and benefits to society as a whole. Head injuries are serious, but also a subset of all injuries. If head injuries occured in 100 percent of cycling accidents, there would be a public health reason to mandate helmets. But they don’t. A better way to ask the question would be: is a helmet being used the highest bar for safety or is it just the only voluntary means of having a bar to set and therefore comes with a civil virtue lecture? A similar issue arose a few years back when the government looked at making child seats mandatory on airplanes, and making the practice of “lap babies” illegal. It appears that a handful of children die every year when they get flung around the cabin during turbulence or rough landings. Then the scientists looked at what would happen if 1% of families were to drive instead of pay for the extra seat for the baby. They found that the number of babies dying in car accidents would be greater than the number of deaths prevented on airplanes. So what appears to be a no-brainer – strap in those babies on the plane – actually turned out more complex. Actually yes, I do think about the costs to society of bike helmets. A researcher at Cal Berkeley printed a great paper about the cost of growing corn to make ethanol for cars. If you really do the math, there is very little improvement in pollution when you look at the cost of putting gas in the tractor to start with. Balancing costs, a never ending math question and ethics question. So what exactly are you advocating? What specific, substantiated, meaningful position do you have? That we should abolish helmet laws? That we should require cyclist training or mandate it in schools? That helmets should be a footnote in any public recommendation? That we should tell mothers to say “ride well” rather than “be safe” to their children? Cause your statements/conclusions imply advocating helmets in public policy makes cycling less safe. When you’re pressed about the lack of evidence for your statements/conclusions you retreat, saying you are only arguing “against focusing on helmets to the detriment of other aspects of safety.” Yet, no government or cycling organization I am aware of is focusing on helmets to the detriment of other aspects of cyclists safety. Your own NHTSA citation has a whole list of rider safety recommendations (i.e. rules of road, visibility) along with their helmet recommendation. So what meaningful position are you willing to defend? My meaningful position is this: Wear a helmet if you want. (I do!) Don’t tell anybody else to wear one or not to wear one. Let’s assume we agree on the fact that nobody knows whether helmets are beneficial on a societal level or not. Isn’t the logical conclusion that we should study the issue more, and back off recommending or mandating helmets for everybody? So it seems to me that we mostly agree. The post was intended to find middle ground between the two sides in the “helmet wars”. Sure, you can nitpick the arguments that I presented in the concise format of a blog entry, rather than a full scientific article, but it seems that in the end, we agree that emphasizing helmets over other issues of safety would be misguided. Since social costs are an argument in favor of helmet advocacy, I wonder about overall costs. How much would costs shift if the “use a helmet” messages changed to “ride a bike”? How would the costs avoided due to increased physical activity balance against the costs incurred due to increased rate of bicycle-crash-related head injuries? I suspect that it would be rational for society to accept the healthcare and aftercare costs of those who incur injuries while cycling in exchange for the benefits of increasing bicycle mode share, even if nobody wore a helmet. Let’s teach helmet use and adjustment where it belongs, alongside brake use and adjustment and safe riding in different kinds of traffic. – no clear evidence that mirrors on HGVs are helpful. Their take on the helmet issue appears on page 171 (pdf page 173). What has always amazed me is that the choice of helmet or not is as much an issue of “style” than anything else. Where I live (Connecticut) “serious” cyclists and children wear helmets, because it’s expected of them, while the casual cyclist – especially those who, for various reasons, have no choice but to get around by bike – almost never do. Bottom line is, helmet use is seen as “cool” and so, it’s acceptable. I’ve felt the same way about pedestrians! In America, according to John Pucher of Rutgers, pedestrian travel is over three times as risky as bicycle travel (in terms of fatalities per mile traveled). The annual number of pedestrian fatalities is over 4000, compared to only about 700 bicyclists. The percentage of fatalities due to TBI is the same for bicyclists and pedestrians, about 45%. Yet pedestrian helmets are as rare as hen’s teeth! How pedestrians are perceived by their peers is far more important than common sense will ever be! BTW, I think it is far easier to justify motorcycle helmets, although perhaps not helmet laws. It’s been estimated that motorcycling is over 30 times as dangerous, per hour, as bicycling. OTOH, contrary to the common perception, bicycling is an extremely safe activity. Pedestrian fatality rates also vary greatly by location. In some cities, pedestrians have critical mass (like NYC), and are relatively safe. In other places, only poor people who cannot afford cars walk, and they face great dangers. It’s a slightly different selection than the cycling fatalities, but it’s still very significant. That said, for my children, walking is probably the most dangerous activity of everything they do – and that includes cycling. Well said Jan. It’s a nice balanced summary of the issue. The message that helmets make little difference to cycling safety, and can actually divert focus away from more effective measures, is spot on. Here in Australia we have a mandatory helmet law that is causing a lot of controversy. On one hand, we’ve got injury stats that show an increase in cycling injuries since the helmet law. On the other hand, we have a vocal group of people who insist that their bicycle helmets saved them from a serious injury. This seems like a paradox. Yet both of these statements can be true at the same time if there is a large increase in accidents after the helmet law. From the injury data, this is what seems to have happened. The impact of helmets on safety is much more complicated than it seems at first.